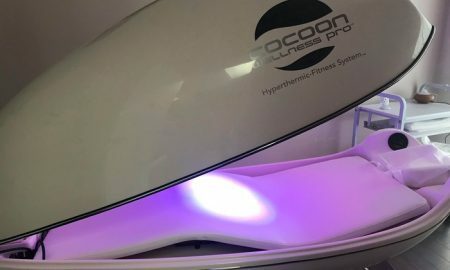 The Cocoon offers a comprehensive whole body experience with thermal dynamic dry heat therapy, the healing power of infrared light, duel wave full body massage, aromatherapy, detoxification, and calorie burning effects to slim down, all to create a relaxing, healing environment that provides stress relief and relaxation. Benefits of Cocoon Wellness Pod Pro Sessions: helps with weight loss, pain relief, anti-aging, glowing skin, stimulates collagen and elastin production, decreases redness and inflammation, and improves circulation. *Customers are encouraged to bring their own towel with to the appointment if needed. At Felix Skincare Clinic, technicians use state-of-the-art equipment to help clients attain their image goals. Using the LHE laser system, technicians remove body hair. Microdermabrasion treatments and facials are available to correct skin issues and restore the skin’s radiance, and massages are offered to help clients unwind. Promotional value expires 120 days after purchase. Amount paid never expires. Appointment required. Consultation required; non-candidates and other refund requests will be honored before service provided. Limit 1 per person, may buy 1 additional as gift(s). May be repurchased every 180 days. Valid only for option purchased. All goods or services must be used by the same person. Merchant’s standard cancellation policy applies (any fees not to exceed voucher price). Merchant is solely responsible to purchasers for the care and quality of the advertised goods and services.